The Memorandum of Understanding (MoU) establishing the European Centre of Excellence for Countering Hybrid Threats entered into force when it was signed on 11 April 2017 by Finland, France, Germany, Latvia, Lithuania, Poland, Sweden, the United Kingdom and the United States. Estonia, Norway and Spain signed the MoU on 14 July 2017. The EU and NATO have participated in establishing the European Centre of Excellence for Countering Hybrid Threats (Hybrid CoE). They are also invited to join the Steering Board (SB) meetings of the Centre. Finland acts as the host country of Hybrid CoE. 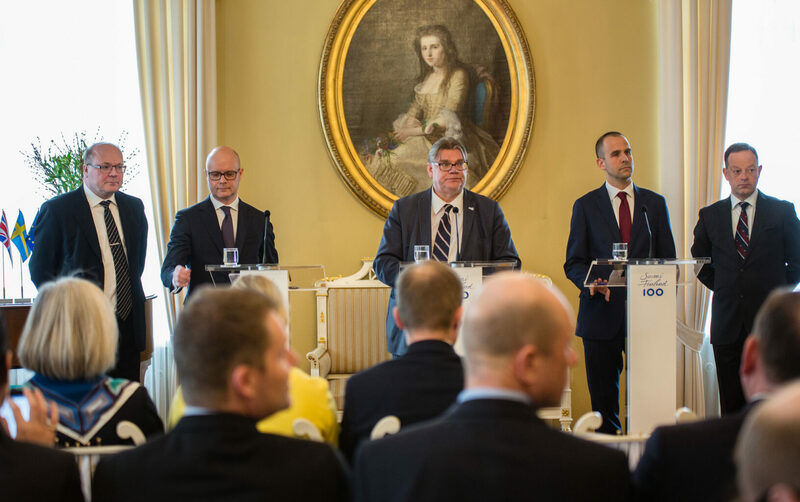 Finnish Foreign Minister Mr. Timo Soini described the host country’s approach to establishing the Centre in his speech at the signing of the MoU on 11 April 2017. At its first meeting, the Steering Board elected Mr. Jori Arvonen (Under Secretary of State) to act as chairperson of the SB on behalf of the host country. The status of legal personality is afforded to the Centre through Finnish legislation. The Act on the European Centre of Excellence for Countering Hybrid Threats (Government proposal 59/2017) entered into force on 1 July 2017. The national law was prepared in accordance with the multinational MoU. The Steering Board of the Centre appointed Matti Saarelainen as the Centre’s Director as of 1 July 2017. He acted as Project Manager during the preparation period of the Centre from November 2016 until the first meeting of the Centre’s Steering Board in Helsinki on 12 April 2017. Saarelainen was first appointed as interim Director until the end of June 2017. The director has recruited a core staff of 7 experts to the Secretariat during the summer. The initial operational capability was reached on 1 September. The first dialogue, training and research activities will take place during the autumn. The Centre will reach full operational capability in 2018.